Do you remember Dashia Grigsby? Dashia Grigsby graduated in 1989 and was inducted into the Hall of Fame in 2014. Dashia Grigsby was an outstanding basketball player for Withrow and in college. She was one of the few to have her uniform number (#21) retired in honor of her basketball career at Withrow. Dashia played basketball for Withrow from 1985 to 1989. In 1988. she was selected first team All‐American and first team Southwest District. 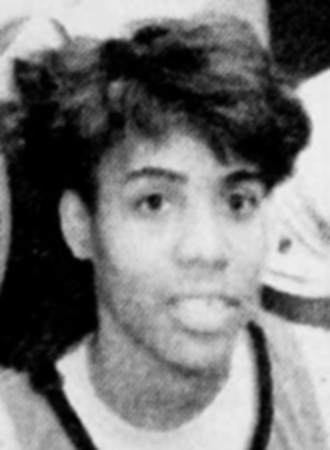 In 1989, Dashia was selected first team All‐American and Southwest District Player of the Year. She also ran track for Withrow. Dashia was awarded full basketball scholarship to Grambling State University and later transferred to Sullivan Junior College with another full basketball scholarship. In 1992, she was a member of 1000 point club at Sullivan Junior College and recognized as Junior College All‐American. Dashia was awarded full basketball scholarship to University of Cincinnati later in 1992 and was recognized as Newcomer of the Year in 1993 in the Great Midwestern Conference at the University of Cincinnati.